I know I’m a little late in joining this party, but I have recently learned that Etsy is an awesome website! 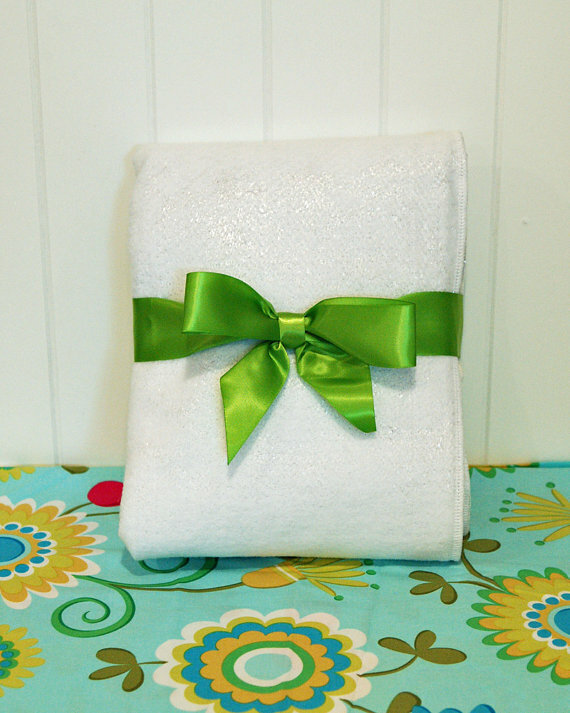 I love the idea of finding creative, homemade items and benefiting an individual through that purchase. 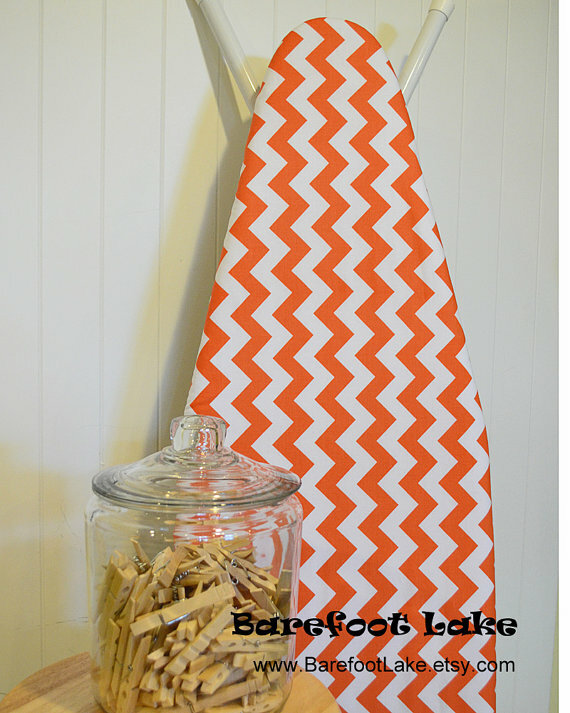 I found two things for our laundry room that I received and am really enjoying! The first thing I wanted was a new ironing board cover. I wanted something to match the color theme of the laundry room, but I also wanted something that would stand the test of time. I do a lot of ironing of my husband’s work clothes and have been through a couple of covers in just a few years. I was willing to spend a little more to get something that would last. I found the perfect cover on Etsy, as well as the perfect ironing board pad. The second thing I found on Etsy, was a vinyl wall decal for one of the walls in the room. We ordered the decal in a red-orange color to go with the rest of the room. You can find wall decals pretty much anywhere, but this particular one had awesome reviews, and it works well with our textured walls. That made this decal the one I decided to purchase! 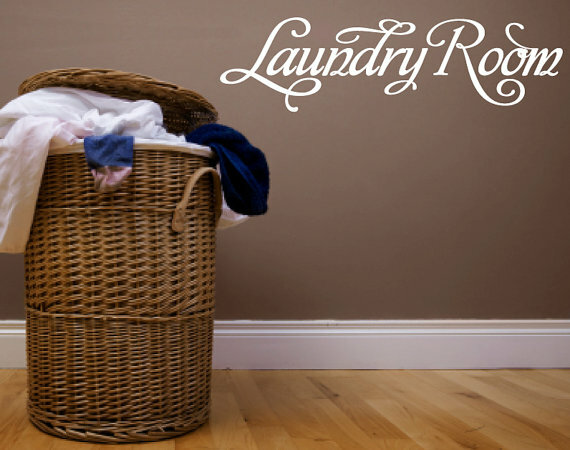 These items may seem like insignificant details, but they have really made a difference in the little laundry room. I’m looking forward to showing you the finished product soon! Hope you are enjoying your weekend!